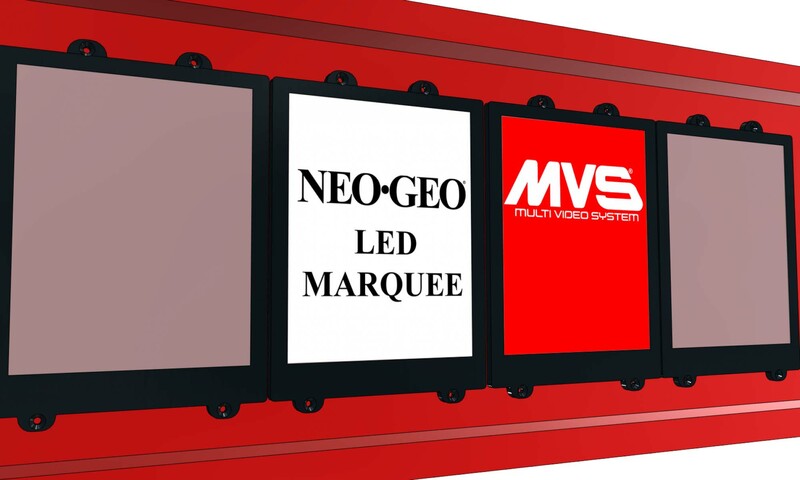 Information on the new LED mini marquee kit for the MVS 2,4 and 6 slot Cabinets. Panels can include the mini marquee holder if you do not have them in your cabinet. The new updated system just plugs in to your existing harness or we can supply a new one. Before you order have a look for the original ELA cable. It will be plugged into the 8 way connector on the side of the MVS. Each cabinet will have it’s own style of panels, but all line up in the same way. If you have the upright style or Goldie check the back of your marquee to see if you have the mini marquee holders that look like tape.